The annual two weeks of insanity called the Tribeca Film Festival is about to begin and things here are going to get weird. An insane bacchanalia of films and entertainment the festival is an event that is well loved by all of us at Tribeca because, if nothing else, we get to see about a hundred films before the rest of the world. Going to Tribeca is like waking up on Christmas morning to find all sorts of possible delights under the tree. 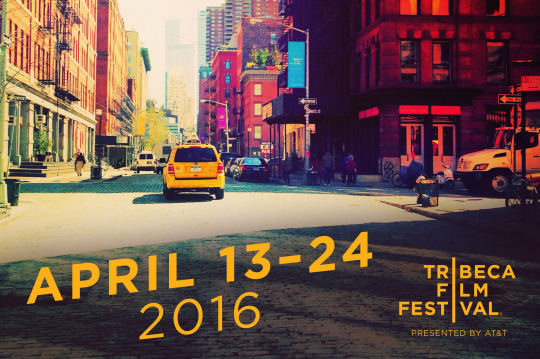 For good or bad Tribeca is one of my favorite festivals of the year and a must attend. I can’t say enough good about it. And if you want to double check my feelings go back and look at our coverage over the last 7 years. This year we at Unseen are wading in to the festivities with a crew that includes myself, Ariela Rubin, our newest member and the one and only Chocko who was added as part of three team deal that sent James Franco into exile in Tahiti (and he is in exile since he only has 2 films at Tribeca this year instead of the usual 8). We are hitting a good number of major events and we’ll have pictures from the red carpets and elsewhere. AS I OPEN MY EYES- a young woman in Tunisia would rather make music then study for medical school. While the plot may seem familiar, the film scores in one huge way, it’s the first screen appearance of Baya Medhaffer, who leaps off the screen and lays claim to the best new actress award of 2016. It’s a performance that is sure to set her on the road to international stardom. While the film is very good on it’s own terms Mehaffer makes it an absolute must see. LIFE, ANIMATED is the story Owen Suskind a young man with Autism who learned to communicate via Disney animated films. The film follow Owen as he prepares to go out in the world. What can I say except I was moved to tears. The animated sequences are amazing, the story touching and the sequence of the last meeting of Owen's Disney club is one of the coolest, most joyous things I've seen in a very long time. Ariela will be doing the full review, but I'm telling you its a wonderful film. HUNT FOR WILDERPEOPLE is a freaking amazing film. Its funny, touching and a damn good adventure. This story of a man and his foster child on the run is hands down one of the best films at Tribeca so far and may very well be on my best of 2016. Ariela is taking the lead on this but until her review posts go get tickets. JUNCTION 48 is a spiritual sibling to AS I OPEN MY EYES. The film follows a group of friends living in Lod in Israel who want to be rappers. As the young men get a following events conspire to make their apolitical music political. While I was at first hesitant to include this as a must see film this film haunts me more than most of the other films to the point that I have to include it. What was the first or second film I saw for Tribeca remains first or second in my heart. OBIT on the New York Times Obituary desk is a wonderful look at something many of us read every day. One of the best of the fest. MY SCIENTOLOGY MOVIE is a wicked companion piece to the Alex Gibney film GOING CLEAR. Here we get to watch the Scientologists in action and see their training exercises. Its a head trip. THE RETURN is one of Ariela's picks. The story of people sentenced under California's Three Strike Law and are now being let out to find uncertain futures in the real world moved her deeply. And because some films for better or worse require that you notice them I'm throwing a couple of wild card choices your way just to stir the pot. MADLY is the best of the handful of anthology films playing Tribeca this year. Its collection of films looking at love in various forms is not in anyway going to be what you expect.While the film split the Unseen crew, I'm putting it on the must see list but only for the adventurous film goer, if only because the film's stories are so unlike each other, or the other films in the festival and because unlike the other anthologies at the festival, these stories are fully formed. Reviews will start appearing Thursday night and will continue to May 1. The reason for the long run of reviews is because we are giving you a lot of coverage (My rough count is around 90 films and events not including red carpet photos). In addition reviewing the films we saw pre-festival, we will be seeing films every single day of the festival so we need time to write stuff up and post it. Most stuff is going to be timely, but some pieces, such as special events will be covered after the fact. Trust me it’s all coming your way like a tsunami- so keep reading and be patient because odds are we will be reviewing the film you're curious about.